Surprising news reached us from Cologne-Bonn Airport this morning. 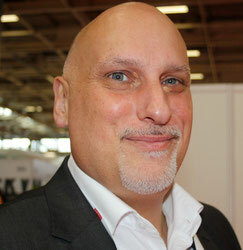 Franz van Hessen, the long serving Director Cargo and Sales has decided to follow another path in the future. Franz, who was instrumental in putting CGN on the German air cargo map during the past years has announced that after nine years service he wishes to continue his profes-sional career as an independent aviation consultant. We were informed that there has been no decision as of yet as to who will take over Franz’s duties as manager of CGN Cargo. The Liege-based Israeli cargo carrier who was recently visited by the Belgian Prime Minister (see CFG 13 February) is said by local media to be seriously looking at moving one of its three B747-400Fs into a newly formed subsidiary company. The aircraft would continue to be based at Liege but when flying under a new Belgian name and registration, could be used to also operate flights into certain Middle East countries. CAL is looking at final certification by the middle of this year. Pharma product and the Latin American market will be topping the TIACA Executive Summit meeting in October in Miami. The summit which takes place in partnership with the Supply Chain Americas conference is expected to attract shippers and agents from all over the world. A special focus will be laid on pharmaceutical developments as well as ways and means of streamlining the pharma supply chain in the future. The Executive Summit program will be geared towards discussions on supply chain innovation, as well as updates for North American and European regulators on the latest Pre-Loading Advance Cargo Information (PLACI), along with dangerous goods rules and regulations. The Luxembourg-based all cargo carrier, Cargolux, was also able to take advantage of this year’s demand for fresh cut flowers in time for Valentine Day on 14. February. The carrier which annually carriers over 20,000 tons of flowers from Africa to Europe laid on quite a few extra flights on top of their scheduled seven weekly operations in order to meet this year’s demand from florists all over Europe. 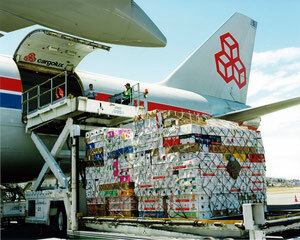 The Kenyan flower market has become one of Cargolux’s most important sectors. Kenya now produces 35% of all flowers which are sold within the European Union. Germany’s largest airport, Frankfurt-Main, enjoyed a welcome boost in cargo tonnages handled in January 2017 compared to the same month a year ago. In total, 168,556 tons were handled and this represents an increase of 5.6 percent over the January 2016 figures. The tonnage increase was partly due to the pre-Chinese New Year rush in January as well as an unexpected global demand during the month. A welcome start to the new year seeing that Fraport ended 2016 with an almost 2 percent increase in tonnage handled. The figure for 2016 was almost 2.2 million tons.